Best Price Guarantee - We always offer you our lowest available DFDS Seaways, Stena Line or P&O passenger and car ferries ticket price to and from Ostend. There are no hidden extras or surprises such as added fuel surcharges or booking fees and we also we do not charge you anything extra for paying with a Visa Electron card. The price we quote for your selected Ostend ferry ticket, onboard accommodation and vehicle type is all you will pay, and that's a promise! 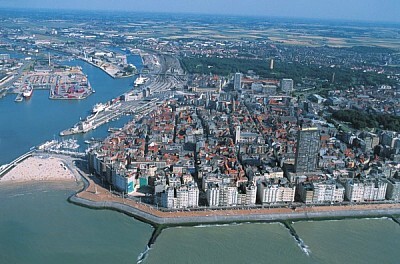 At FerryTO you are able to obtain live Ostend ferry ticket prices, check availability and book car and passenger ferry tickets to and from Ostend at our lowest available ticket price. Ferryto.co.uk is part of the world's largest online ferry ticket distribution network providing the ability to book over 80 major European ferry operators including to Ostend and to over 1,200 other ferry routes throughout the UK, France, Spain, Ireland, Holland, Eastern Europe, the Mediterranean, the Baltic and North Africa.